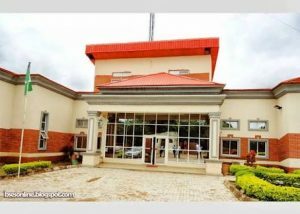 The National Broadcasting Commission has shut down the Broadcasting Service of Ekiti State (BSES) for breaching provisions of the Broadcasting Code. The commission’s Southwest monitoring chief Professor Armstrong Idachaba cited breach of the electoral act and broadcasting code by the media outfit, after Governor Ayodele Fayose went on air to announce fake results in favour of Olusola Emeka, his deputy and PDP governorship candidate. “The Commission has taken the decision to curb the continued breach of the Electoral Act and the Broadcasting Code on Political Broadcast. The Commission was particularly irked by the unauthorized declaration of results by the state Governor on the state owned Broadcast stations. The governor had also made malicious and unsubstantiated comments against INEC, the Police and the SSS.